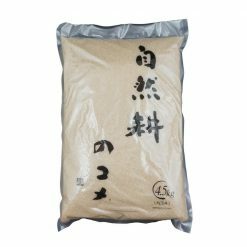 Shiga Koshihikari Organic Rice is a delicious rice that does not need a side dish. We stopped cultivating the rice and let nature do its magic. 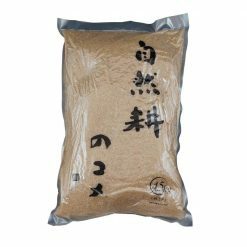 The natural roots of rice grow 2-3 times deeper and wider than cultivated roots and absorb a lot more energy of the earth to enrich the rice with minerals. Grown lovingly in the land of Toyama with clean water. 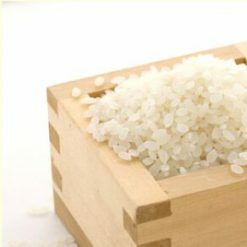 It’s very plump when cooked and has a sweet taste, aromatic fragrance, and stickiness that make it the number one popular rice. 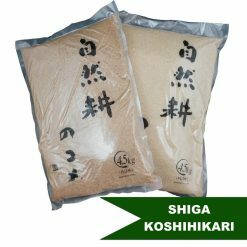 Shiga Koshihikari Organic Rice comes in two varieties; organic brown rice and organic white rice.